Can Silvanus Escape That God? Silvanus is a young lad intent on becoming a man. 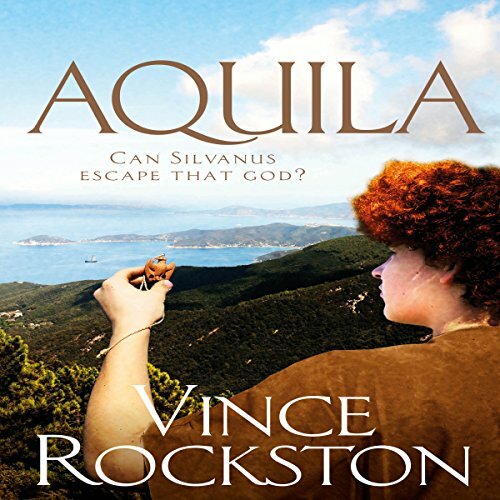 When his god Aquila smiles on him, Silvanus finds a cave of precious gems. His dreams of buying a boat and fleeing his island home are that much closer! Instead, a series of events lead Silvanus to the bizarre old hermit Cerbonius. His uncanny wisdom causes Silvanus to question everything he knows about the world, and he discovers his ambitions are far too small. Plunge into an unfamiliar era of fearful stone gods served by lewd priestesses, an era of piracy, treachery, and love, of wars and rumours of wars, and of the constant struggle to survive.